Profit in the first three months of 2018 soared more than 70 percent from a year ago to $9.4 billion, Alphabet said in an earnings report that was well above forecasts. Revenue at the California-based internet giant during the first three months of this year was $31.1 billion, up 26 percent from the same period last year. Alphabet shares slipped slightly in after-market trades that followed release of the earnings report, evidently on investor concerns about growing costs. "The all-important advertising revenues came in ahead of Street expectations although the bulls were hoping for a bigger beat," GBH Insights head of technology research Daniel Ives said in an analyst note. "While fundamental worries coupled by regulatory black clouds continue to be overhangs on the name, we believe 1Q advertising and 'bread and butter' search revenues were healthy and a good barometer of potential strength heading into the rest of 2018." The first-quarter profit included one-time gains of $3 billion on its equity investments, believed to have come mainly from a rise in the value of its stake in leading smartphone-summoned ride service Uber. Revenues from its "other bets," which include the self-driving car unit Waymo and life sciences firm Verily, amounted to $150 million from $132 million. "We have a clear set of exciting opportunities ahead, and our strong growth enables us to invest in them with confidence," said Alphabet chief financial officer Ruth Porat. She noted that high-speed cable internet unit Fiber and Verily were mostly responsible for the money taken in by "big bets." Alphabet plans to keep up investment in new areas its core search service, as well as keep pumping money into undersea data cables, artificial intelligence, data centers and its line of consumer electronics devices including Pixel smartphones. Google chief executive Sundar Pichai said that he will share what the company is "up to next" at its annual developers conference in Silicon Valley next month. Bright spots at Alphabet included YouTube, where executives are focusing on original video content and live streaming to mobile devices in the competitive market. Early this month, an Iran-born animal rights activist with a vendetta against the company shot three people before killing herself at YouTube's California headquarters. "It's been a particularly tough few weeks for the Google family, especially at YouTube," Pichai said. "I'm so proud of the resilience that our employees shown and I'm so grateful for the support we've got across our industry and from the community." During the past year, the number of YouTube channels making more than $100,000 has grown by 40 percent, according to Pichai. While investing in content such as a hit live stream of Beyonce at Coachella music festival, Google is also working to filter out content that violates its policies, he added. "We also changed our monetization requirements to better identify creators who contribute positively to the community and drive more ad revenue to them," Pichai said. 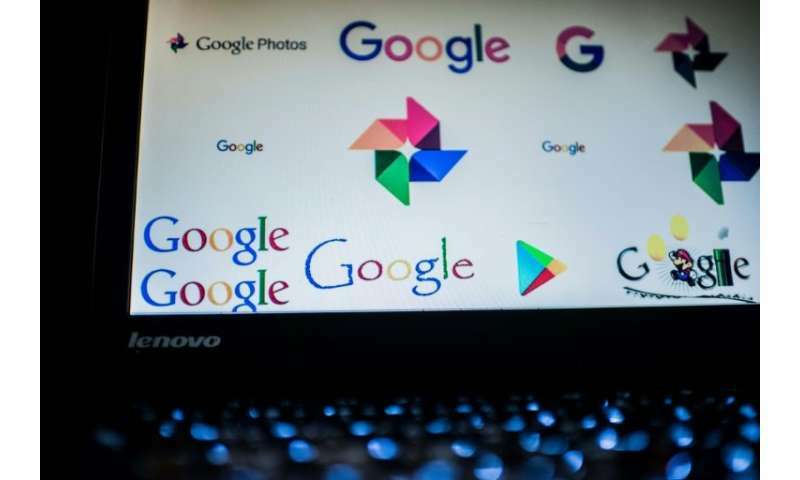 Google said it is collaborating with regulators in Europe to comply with the EU's General Data Protection Regulation (GDPR), which becomes effective May 25. "We started working on GDPR compliance over 18 months ago and have been very, very engaged on it," Pichai said. "It's really important and we care about getting it right." Google is also working with publishers and advertisers to get in tune with the EU privacy law. Alphabet is the first major Silicon Valley firm to report first-quarter earnings, and the report comes amid heightened concerns over how private user data is protected in light of the hijacking of data on millions of Facebook users. With their platforms allowing targeted ads, Google and Facebook dominate the online advertising ecosystem although there have been signs the "duopoly" is weakening slightly. According to the research firm eMarketer, the two companies will capture a combined 56.8 percent of US digital ad investment in 2018, down from 58.5 percent last year, as smaller players such as Amazon and Snapchat are experiencing faster-than-expected growth. Monday's report showed the Google segment still accounting for the overwhelming majority of revenues with $30.99 billion, up from $24.6 billion last year.